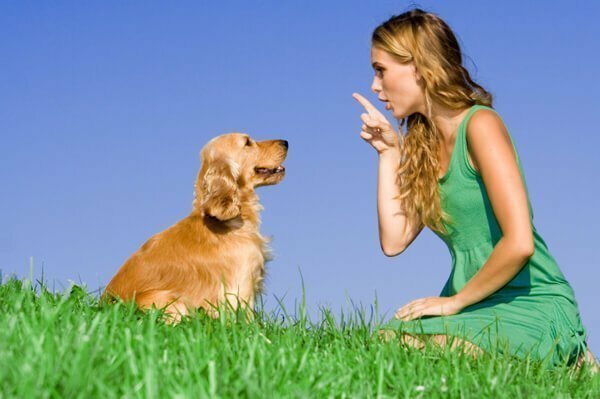 Dog training can be quite a daunting task, especially if it is Golden Retrievers that we are talking about. It is important to learn what dog psychology is in order to be able to train them in the best way. Also, Golden Retriever characteristics play a very important role in determining how well and how soon your dog will be able to learn the lessons you teach them. Read on to know more about how you can take up this task without much of a hassle. 2 How Does Dog Psychology Work ? 3 How Can You Use Dog Psychology To Train Your Dog ? Golden Retrievers are one of the few breeds of dog that only respond to kindness and politeness. They don’t blend well with somebody who tends to treat them harshly. These dogs are calm, sweet, intelligent and quick learners. They are known to pick up their lessons very quickly and can remember things for long without any trouble. Though Golden Retrievers cannot make good watchdogs due to their soft nature, they make good guides for children and blind people. Use these characteristics of Golden Retrievers to the best of your advantage if you wish to teach them and train them well. How Does Dog Psychology Work ? They experience jealousy when you pay attention to another dog or a toddler. They can learn fast and are better able to remember and retain their lessons. The most common way that dogs learn their ways and lifestyle is by imitating other dogs. Puppies imitate older dogs and grown-up dogs tend to imitate their companions. Love and compassion are the driving forces that make dogs tick. Don’t resort to harsh treatment with your dog especially when you are training him. A look of anger or hurt in their owner’s eyes is enough to put off a dog and sadden it. You may use this technique into framing your dog to learn better tricks out of guilt, although this method is not the most recommended one. Make the best use of the above-mentioned dog psychology traits in order understand your dog’s perspectives, see things their way, and present their lessons to them in the best way so that they understand it well. How Can You Use Dog Psychology To Train Your Dog ? Train them around other dogs so that they follow suit. Reward them lovingly with a new toy or their favorite cookie if they obey your instructions well. If there ever arises a need to punish them, don’t be rough or direct. Instead opt for a subtle approach like not paying attention or petting other dogs in their presence. If you enroll them in a dog training center, there will be affixed schedule which every dog student will be expected to follow. However, if you are home training them, you will need to set up a detailed schedule and move strictly according to it, if you want your dog to learn quickly. Also, a warm-up session before the lessons begin is a good idea to get your Golden Retriever in a fresh mood to learn better. There are quite a lot of dog training centers that hire professionals to train those dogs that come to them to learn mundane tasks or any social skills. It is nothing but fun to watch your dog learn new and useful skills from a professional in the company of other dogs. Wherever you are located, search for ‘Dog training centers near me’so that it becomes easier for you to take your dog to the training center daily without wasting much time. It is vital that that your Golden Retriever picks up various good skills and manners by these professionals. Another added advantage is that a dog trainer is better qualified at Golden Retriever training and even understands your dog’s instincts very well. Hence, they can train them better and faster than you can. Remember that though these psychological tips and tricks generally work for most dogs, there may be individual ones that won’t respond well to this treatment. In that case, you need to understand what are the aspects that your dog considers, and then go ahead and make use of them in the training sprees. Some dogs may not open up to the professional trainers initially. You can tag along in the first few days to ensure that all goes well, and your dog is trained to its best. Do whatever you can to make your Golden Retriever comfortable and homely, after all, it’s not the lessons but the fun experience of learning them that matters for you and your pet dog.